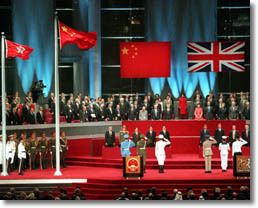 Members of the Chinese armed forces raise the Chinese flag, while members of the Hong Kong Police raise the new Hong Kong flag in the Convention Centre. 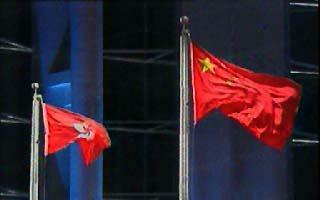 The Hong Kong flag is red with a bauhinia flower in the middle. The bauhinia was chosen as the symbol of Hong Kong because it is widely known as the "Hong Kong flower." The two flags are now up. 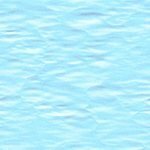 Hong Kong is again Chinese. 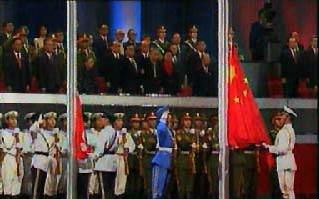 The Chinese national anthem is played. The crowd in the Convention Centre looks on as the Chinese flag is flown. 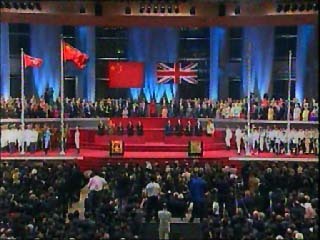 The three Chinese military officers who raised the Chinese flag salute the Chinese delegation, while the three British military officers carrying the Union Jack salute the British delegation. The ceremony is complete.